The HyPer 9 Integrated System� (IS) is the ideal power-train for any light to mid-weight daily driver. Combine multiple systems for heavy-weight and racing vehicles. Its Synchronous Reluctance Internal Permanent Magnet (SRIPM) platform delivers outstanding torque and efficiency, generating higher power per pound than any other motor in its class. The HyPer 9 IS� includes the 100V brushless HyPer 9� Motor, HyPer-Drive X1� Controller/Inverter, Low Voltage Wire Harness, and Main Contactor. This system has many unique features that set it apart from any other EV solution on the market. Up to 50% higher torque than similar sized AC Induction motors running at the same power levels! The Drive End (DE) shaft is 1.125" in diamter with a 1/4" keyway. 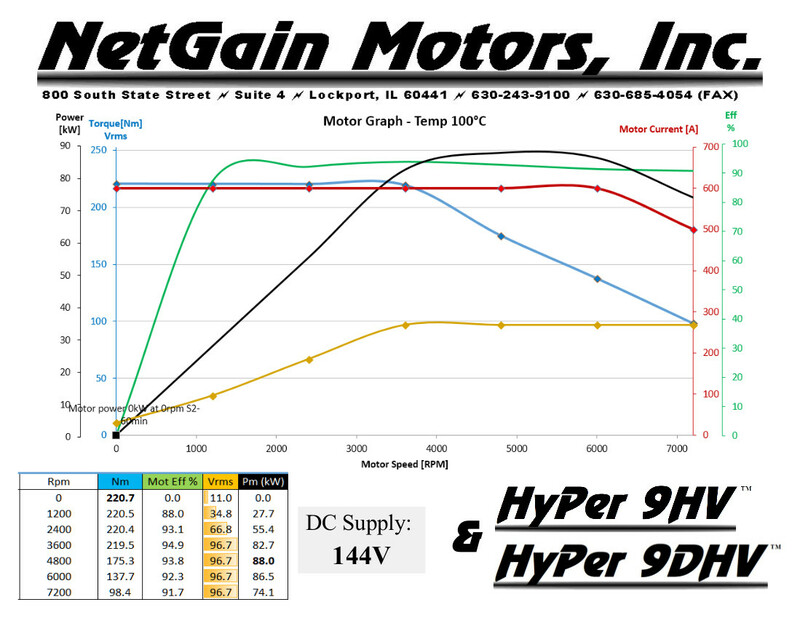 The HyPer 9 Integrated System� (IS) is the ideal power-train for any light to mid-weight daily driver. Combine multiple systems for heavy-weight and racing vehicles. Its Synchronous Reluctance Internal Permanent Magnet (SRIPM) platform delivers outstanding torque and efficiency, generating higher power per pound than any other motor in its class. The HyPer 9HV IS� includes the 144V brushless HyPer 9� Motor, HyPer-Drive X144� Controller/Inverter, Low Voltage Wire Harness, and Main Contactor. This system has many unique features that set it apart from any other EV solution on the market. This motor has an 8.66" diameter and weighs 120 lbs. It is a Synchronous Reluctance Internal Permanent Magnet motor which produces 173 lb/ft peak torque. The HyPer 9 ™ Motor combines the torque producing forces of Permanent Magnets with the highly efficient and cost effective Synchronous Reluctance design. HyPer 9 ™ Motor and HyPer 9D ™ Motor Drive End (DE) shafts are 1.125" in diamter with a 1/4" keyway. HyPer 9D ™ Motor Encoder End shaft is 1.125" in diamter with a 1/4" keyway. This motor has an 8.66" diameter and weighs 120 lbs. The HyPer 9HV ™ is a higher voltage version of our already impressive HyPer 9 ™ Motor. This is a Synchronous Reluctance Internal Permanent Magnet motor which produces 163 lb/ft peak torque. This industry leading technology combines highly efficient and cost effective Synchronous Reluctance design with the torque producing forces of Permanent Magnets. HyPer 9HV ™ Motor and HyPer 9DHV ™ Motor Drive End (DE) shafts are 1.125" in diamter with a 1/4" keyway. HyPer 9DHV ™ Motor Encoder End shaft is 1.125" in diamter with a 1/4" keyway. Equipped with the latest technology in power electronics, our HyPer-Drive X1 ™ Controller can drive SRIPM motors in a wide range of applications up to 85kw peak power. 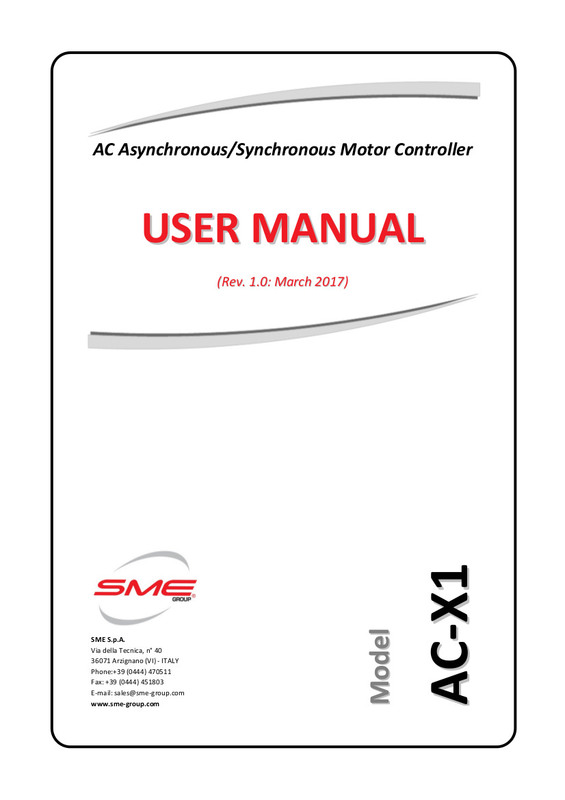 The X1 is the only controller smart enough to power our HyPer 9 ™ Motor, and can be configured to control many other AC motors! Equipped with the latest technology in power electronics, our HyPer-Drive X144 ™ Controller can drive SRIPM motors in a wide range of applications up to 85kw peak power. 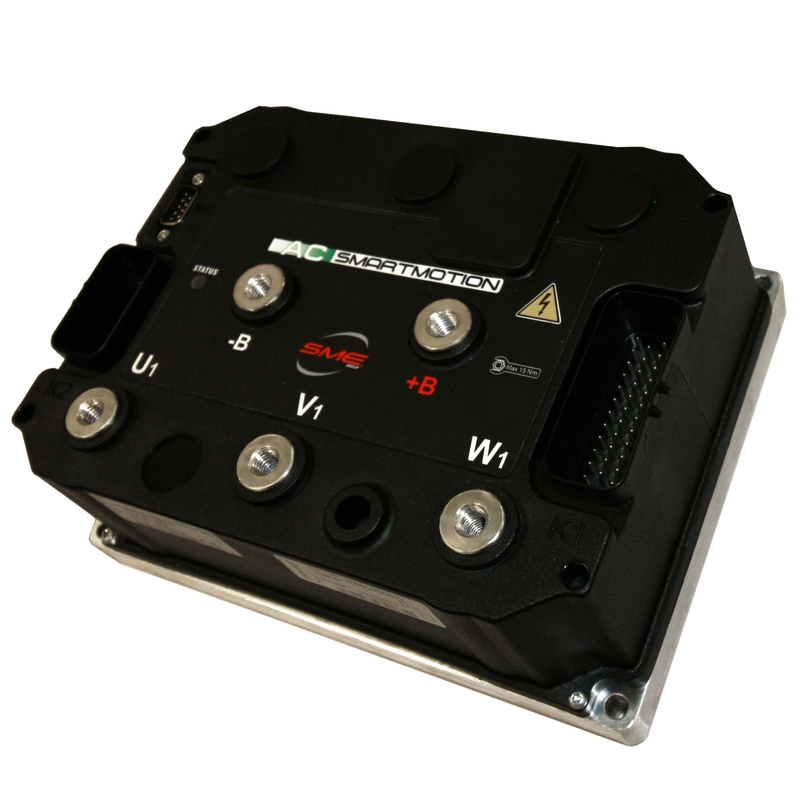 The X144 is the only controller smart enough to power our HyPer 9HV ™ Motor, and can be configured to control many other AC motors! This motor has an 7.25" diameter. It is a series wound DC motor with a double ended shaft. Our WarP 7 ™ Motor has been designed for use in dual motor and EMIS applications and to ease the conversion process for people who want dual motor and/or direct drive applications. It has many unique features that set it apart from any other EV motor currently manufactured. Timing can be adjusted to CWDE or CCWDE(from the normal Neutral). Both the Drive End (DE) shaft and the Commutator End (CE) shaft are 1.125" in diamter with a 1/4" keyway. You can adapt this motor to connect to a TransWarP 7 ™ Motor CE shaft! The motor also has brush wear indicators and a temperature snap switch. It has the same high efficiency fan and massive commutator and brushes as the TransWarP 7 ™ Motor. The WarP 8 ™ motor is basically a twin to the ADC 8" motor (203-06-4001A), but at a better price. As a convenience, we have even duplicated the mounting bolt pattern to allow our clients to utilize existing mounting plate adapters. 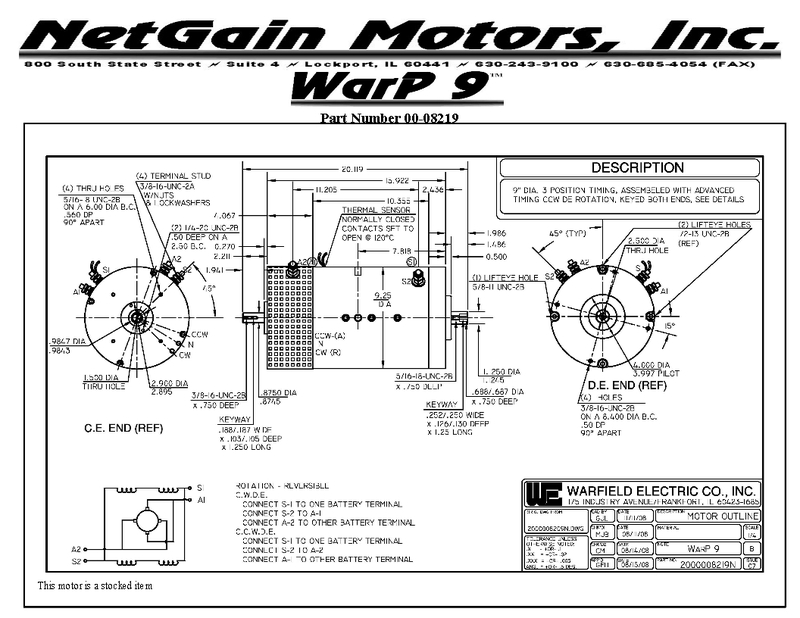 The WarP 8 ™ motor's basic parameters: It is an 8" diameter series wound DC motor with a double ended shaft. The motor utilizes large style comm's and brushes. The comm's are key-locked onto the drive shaft -- reducing the likelihood of lifting any commutator bars. Class "H" insulation is used throughout the motor. The drive shaft and tail shaft have standard keyways cut into them. The drive shaft comes with a pilot bearing hole and a 5/16 - 18 mounting hole. "White Zombie" (driven by John Wayland) originally used two of our WarP 8 ™ motors. This car is the world's quickest and fastest "Street Legal Electric Vehicle". Delivery Time: From Stock - replaced with the ImPulse 9 and ImPulse 8. This is a 9.25" diameter, series wound DC motor with a double ended shaft and is pre-drilled to allow for brush advance in either Neutral, advanced CWDE or advanced CCWDE (standard). Our ImPulse 9 ™ Motor share many of the internal components found in our WarP 9 ™ Motor, but has the mounting pattern and pilot to match 8" motors (Model 00-08259 & Model 00-08269, Model 00-08249 does NOT match ADC 8" and is no longer a stocked item!). There is also a single ended shaft version of this motor - 00-08269. The commutator bars are more securely attached to the arbor, so they will be less likely to lift. The drive shaft is bored for a pilot bearing and drilled & tapped for a 5/16 - 18 bolt. The tail shaft also has a 1/4 - 20 bolt hole to mount tach sensors or secure couplers and accessories. Again, we have duplicated the ADC 8" mounting bolt pattern allowing clients to use preexisting mounting adapters (Model 00-08259 & Model 00-08269) Model 00-08249 does NOT match the ADC 8" mounting pattern, but rather matches the ADC 9" bolt pattern. Class "H" insulation is used throughout the motor. The drive shaft and tail shaft have standard keyways cut into them. This motor is also available at a better price point to end users. � 1/2�-13 diameter terminal studs: Increased from 3/8� diameter - bigger is better! Increased spring pressure: Spring pressure has been increased to allow improved commutation (note: This does NOT increase brush-commutator wear as might be suspected)! Higher spring pressures allow for increased commutation � which improves commutator wear over �bouncing brushes�. Addition of temperature thermistor: This will allow the motor temperature to be be monitored. Removal of brush wear indicators: To the best of our knowledge, no one ever used this feature. As armature voltage was used for signaling it was difficult to adapt and use. Improved fan: Increased air flow will allow the motors to run cooler and more efficiently. The 15- blade fan is a new casting that will make using the RPM sensor easier as well. Drive End mounting holes changed from �blind holes� to thru holes. If the wrong length bolts were used it could damage the DE head. Care must still be exercised to ensure that the mounting bolts do not hit the fan blades! Temperature snap switch and thermistor plug will use the same black plug that was previously used for the brush wear indicators and accepts 1/4�, flat spade connectors, but it will now be counterbored. The com bars are more securely attached to the arbor, so they will be less likely to lift. The drive shaft is bored for a pilot bearing and drilled & tapped for a 5/16 - 18 bolt. The tail shaft also has a 1/4 - 20 bolt hole to mount tach sensors or secure couplers and accessories. Again, we have duplicated the ADC 9" mounting bolt pattern allowing clients to use preexisting mounting adapters. Class "H" insulation is used throughout the motor. The drive shaft and tail shaft have standard keyways cut into them. This motor is also available at a better price point to end users. It is a 11.45" diameter, series wound DC motor with a double ended shaft. Our WarP 11 ™ motor comes set with advanced timing CCWDE. Of the most notable changes, we have a very large com and utilize the large style, very high quality brushes. This is a 13.25" diameter, series wound DC motor with a double ended shaft. Our WarP 13 ™ motor may be customized to a large extent by the customer. This motor can have its fields switched from serial to parallel! The engineers at Warfield Electric said: "This motor is Torque City" when it was dyno tested! The com bars are more securely attached to the arbor, so they will be less likely to lift. The drive shaft is bored for a pilot bearing and drilled & tapped for a 1/2 - 13 bolt. The tail shaft also has a 1/4 - 20 bolt hole to mount tach sensors or secure couplers and accessories. This motor is a "foot-mount" and should not be considered for face mounting due to its weight. Class "H" insulation is used throughout the motor. The drive shaft and tail shaft may be specially designed or use standard keyways or splines. Delivery Time: Special Order (generally 12-16 weeks after final approval of engineering). This motor has an 7.25" diameter. It is a series wound DC motor with a double ended shaft. Our TransWarP 7 ™ Motor has been designed for use in EMIS applications and to ease the conversion process for people who want dual motor and/or direct drive applications. It has many unique features that set it apart from any other EV motor currently manufactured. Timing can be adjusted to CWDE (from the normal CCWDE). This motor has a "shorty" tail shaft housing from a Chevrolet Turbo 400 transmission fitted to the drive end-bell (may be ordered with or without housing!) This is because the drive end shaft is not the typical 1.125" single-keyed type, but rather a hefty 1.370", 32-tooth involute spline that is identical to the tail shaft spline of a Turbo 400 transmission. In other words, this motor was designed to replace a transmission and couple directly to a drive shaft! We have added grease fittings (as you now have a slip-yoke assembly...). We use the industry standard 1350 universal, so you can easily adapt it to any manufacturers drive shaft! The motor also has brush wear indicators and a temperature snap switch. It has the same high efficiency fan and massive commutator and brushes as the WarP 7 ™ Motor. This motor has an 9.25" diameter. It is a series wound DC motor with a double ended shaft. Our TransWarP 9 ™ motor has been designed to ease the conversion process for people who want dual motor and/or direct drive applications. It has many unique features that set it apart from any other EV motor currently manufactured. We have added double wide bearings on the drive end, added grease fittings (as you now have a slip-yoke assembly...). We use the industry standard 1350 universal, so you can easily adapt it to any manufacturers drive shaft! The motor also has brush wear indicators and a temperature snap switch. It has the same high efficiency fan and massive commutator and brushes as the WarP 9 motor. We even made the commutator end shaft the same diameter as the drive end of a typical WarP 9 - just in case you wanted to connect 2, 9" motors together! We also provide 2 lifting holes. This motor has an 11.45" diameter. It is a series wound DC motor with a double ended shaft. Our TransWarP 11 ™ Motor has been designed to ease the conversion process for people who want direct drive applications. It has many unique features that set it apart from any other EV motor currently manufactured. But we didn't stop there! We added double wide bearings on the drive end, added grease fittings (as you now have a slip-yoke assembly...). We chose the industry standard 1350 universal, so you can easily adapt it to any manufacturers drive shaft! We moved the terminals to the side of the motor to avoid road hazard damage, and to allow more clearance above and below. The motor also has brush wear indicators and a temperature snap switch. It has the same high efficiency fan and massive commutator and brushes as the WarP 11 motor. We even made the commutator end shaft the same diameter as the drive end of a typical WarP 11 - just in case you wanted to connect 2, 11" motors together! If that wasn't enough, we also provide a lifting ring and 8 threaded mounting holes in the commutator end bell. This way you will find it easier to mount, as well as having a method of easily attaching a speed sensor, alternator, air conditioner, etc. 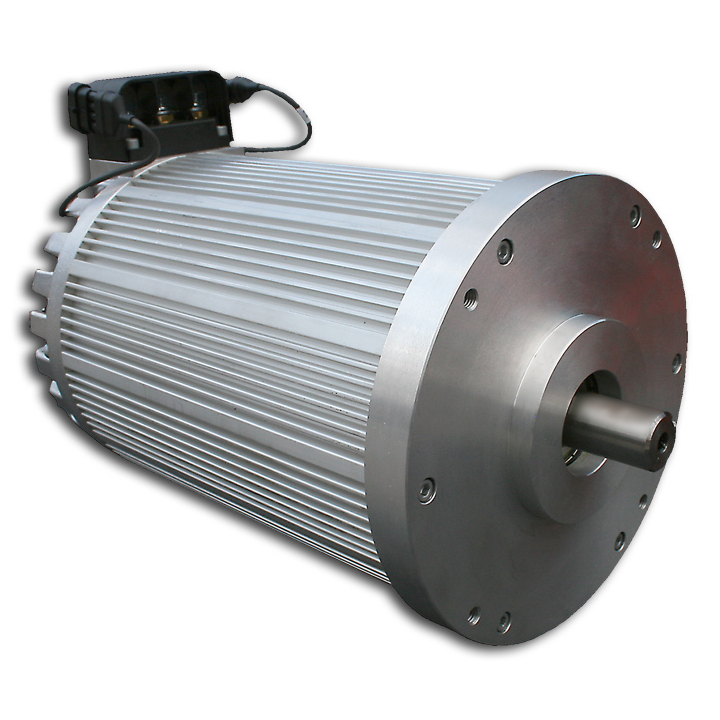 It is a 11.45" diameter, series wound DC motor with a double ended shaft. 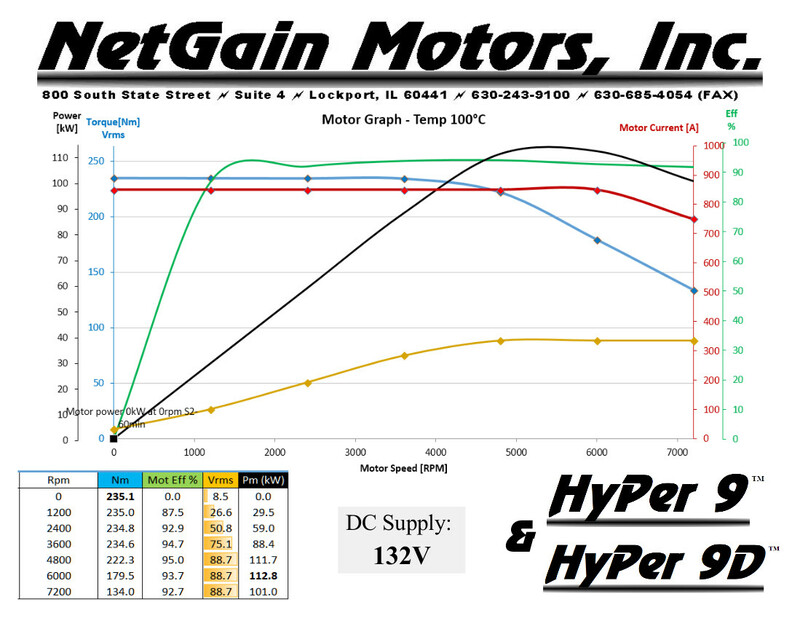 This is the currently the only motor in our product line that has inter-poles. Our WarP 11HV ™ motor comes set with neutral timing. Of the most notable changes, we have is a very large com and the use of very large style, very high quality brushes. A special order TransWarP 11HV version is also available! 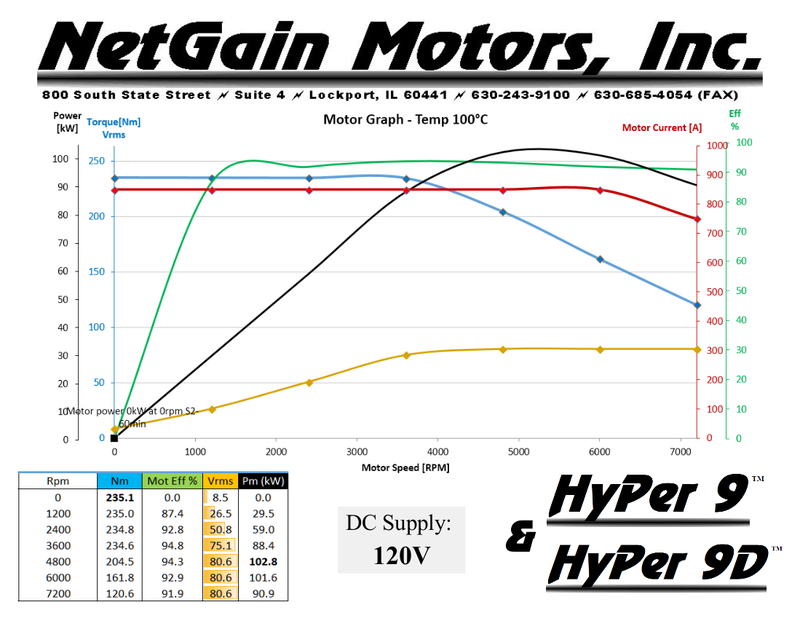 *Spreadsheet data is from actual dyno runs for the motors, the graphs may not be 100% representative of the data due to plotting limitations of the software used to produce the graphs. The Warfield dyno is limited to 72 Volts and ~600 Amps - figures beyond these points may be extrapolated. Most motor losses are fixed, so performance extrapolated at higher currents will likely be slightly better than most extrapolations.